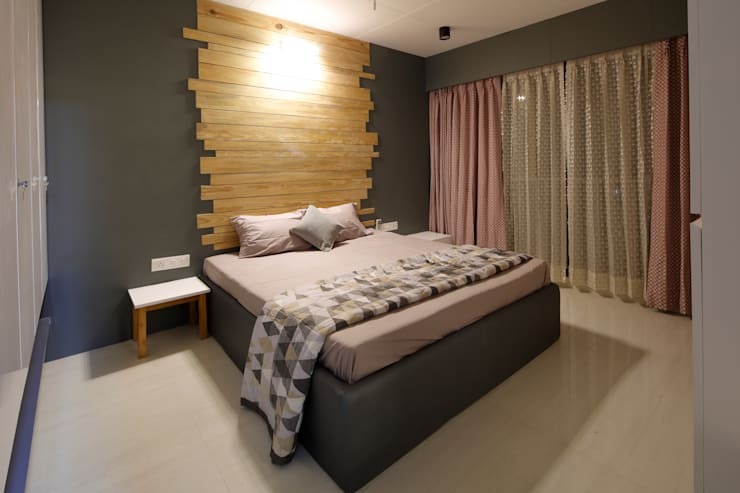 Modern décor is much in demand and not surprisingly so because this kind of design gives you scope to design within a budget. Smart and elegant furniture combined with modern designs gives even a small home a unique look. 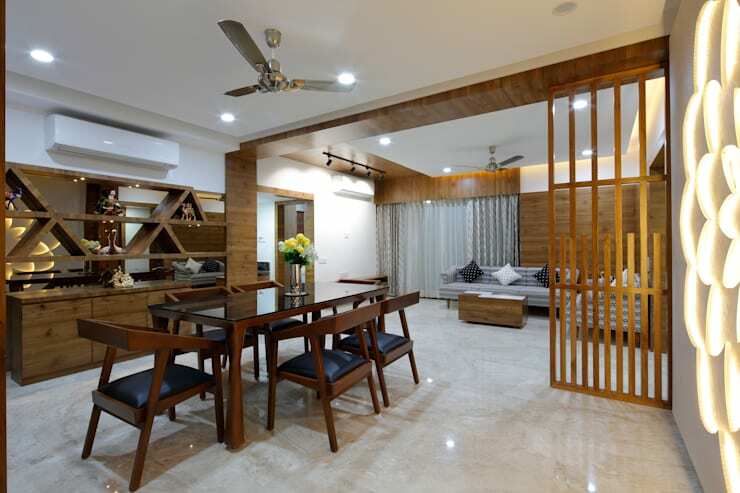 Urbane and chic, this home has been designed by the interior architects of Malvigajjar in Ahmedabad. It is important to have consistency in design especially when you are looking to design a small home. Subtle patterns, lighter shades, and simple wood designs have made this small home look rich and elegant. 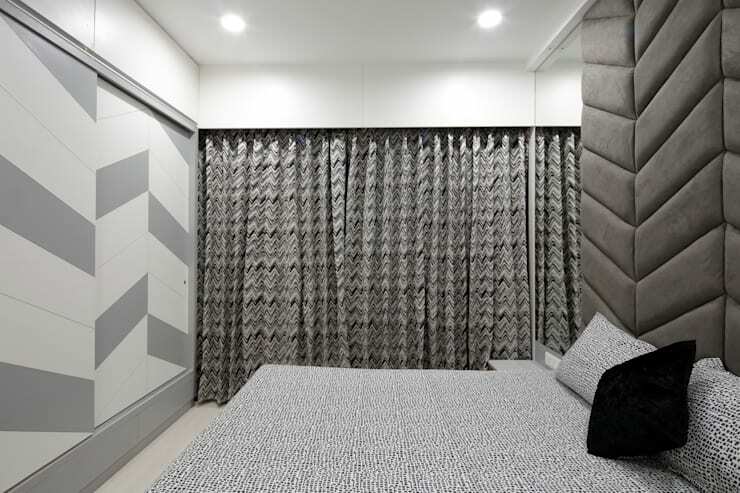 This room has a dominant grey theme but it has been prevented from becoming monotonous and boring. The designers have used a few patterns and textures to keep the design and the idea interesting. For instance, the drapes feature two or three colours which make it unique and interesting. Similarly, using a softly cushioned panel as a headboard makes for an unusual yet striking effect in this room. The wardrobes are also attractive as small grey patterns have been intermittently along with white panels. This makes the room look coordinated and charming. This room looks impressive and this is thanks to a controlled approach to design. The balcony portion of the room has been closed out and a wood panel has been used in the ceiling to make it look part of the room. The bed sits against a unique and well-lit headboard. The pattern and the design are consistent with the overall theme. Simplistic design for the night-tables ensures you do not complicate the design. Soft lighting against the headboard and the inset lighting in the ceiling give this bedroom the perfect look. The focal point in this room has to be unique panels that have been put together on the wall. The rustic element comes from the fact that the wood panels look unfinished and freshly gathered. A small four-legged stool sits against one side as it acts as the nightstand for the bed. A rustic and simple grey colour for the walls gives the room a formal and sophisticated look. The drapes are colourful as a combination of shades has been used for them. 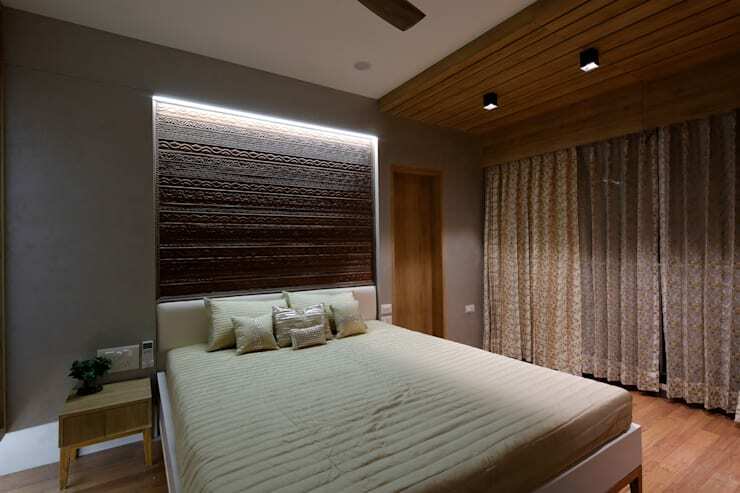 Interesting and soft lights complete the look of this room.For fresh and romantic ideas, you can look into this article – 7 stylish makeover tips for your bedroom.